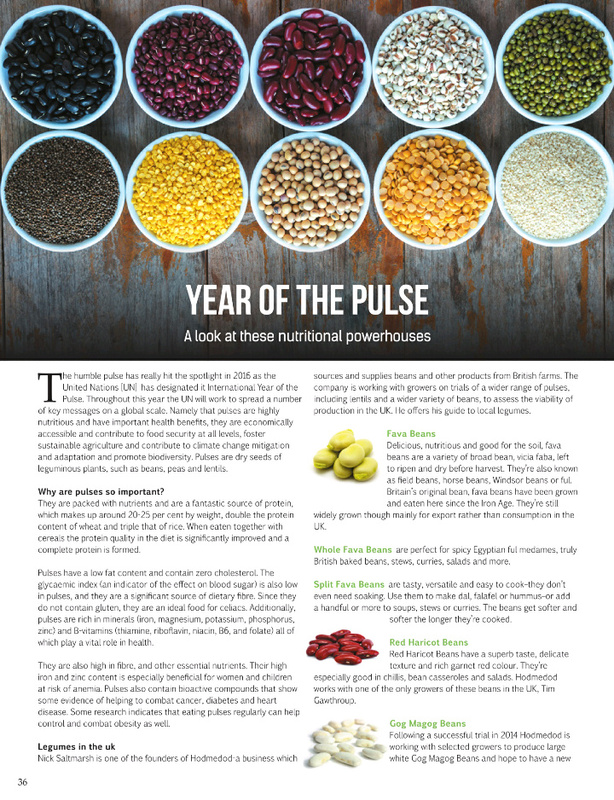 I'm sharing highlights from the last two editions of Vegan Life today. However, I also can't resist some comment on the UK's referendum on membership of the European Union. I don't usually veer into politics and intend to keep that trend, but am hugely saddened by the leave result that came in on Friday morning. Like many of us who voted to remain (and, it turns out, many who voted to leave) I am also shocked that the outcome went that way. Reading news reports over the weekend, I confess to a fair dose of anger as well. If the reports are to be believed, there are a fair few people who admit to voting leave "because I didn't think it would happen" and an even larger number who now regret or doubt their leave vote. It would seem wise to think one's vote through before voting, but clearly that is a lesson learnt too late for some. Anyway, moving on! As always, Vegan Life provides a great collection of stories, recipes and product revelations. 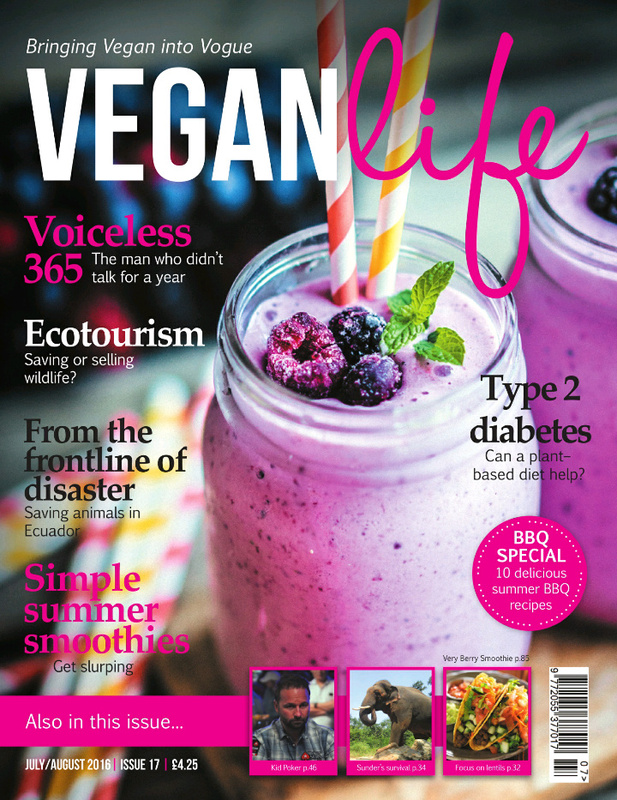 The June edition also had an interesting report on the increased number of vegans in Britain and their demographic characteristics. 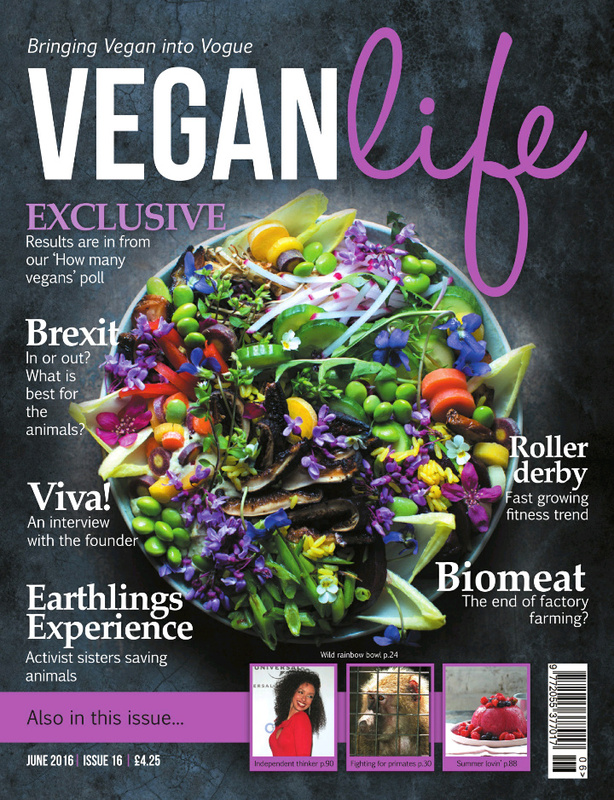 There are more female vegans than male, many more in urban areas than in rural, and a bias towards Masters or PhD level qualifications. Interestingly, you are also less likely to be married or have children if you are vegan - whether by choice or not is unclear. After my recent success with silken tofu in chocolate malt pie, I am really keen to try the peanut butter cakes featuring a filling with silken tofu, peanut butter, maple syrup and coconut milk. I can just imagine how delicious they would be - perhaps almost too delicious, as my self-restraint may not be up to appropriate portion control! If you needed something to balance out an excess of peanut butter and/or dessert, a creamy cauliflower and tahini dip could be a good way to do so. 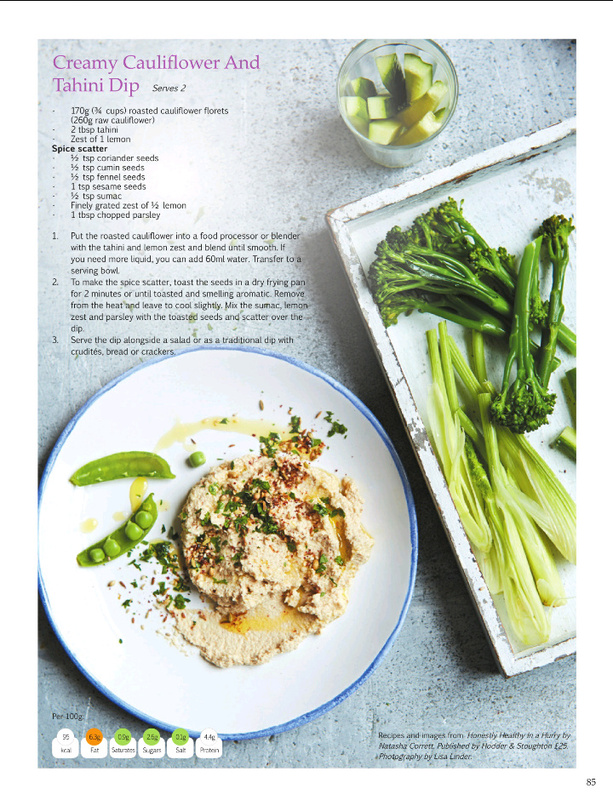 I don't experiment enough with cauliflower and this sounds like a great twist on standard summer dips. 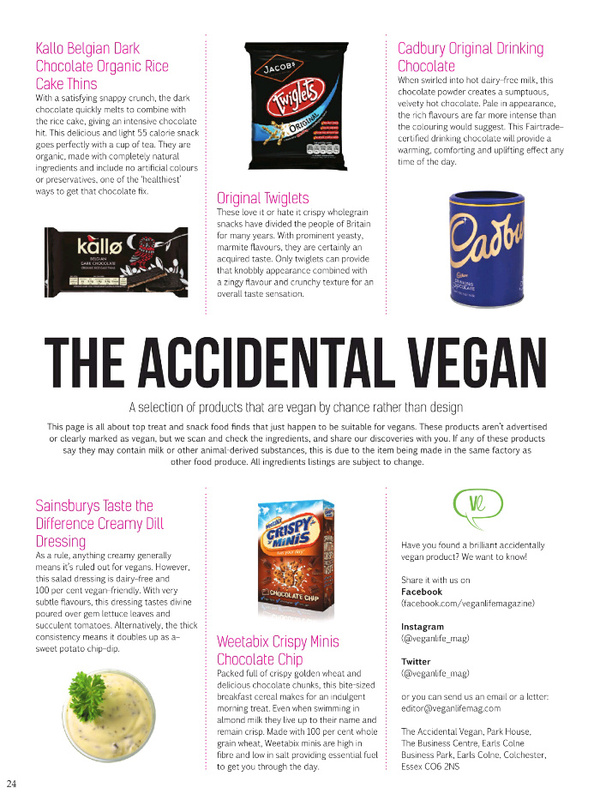 The June 'Accidental vegan' page highlighted that Sainsburys Turkish Delight is vegan - many Turkish delight brands are, but Sainsburys are handily accessible. 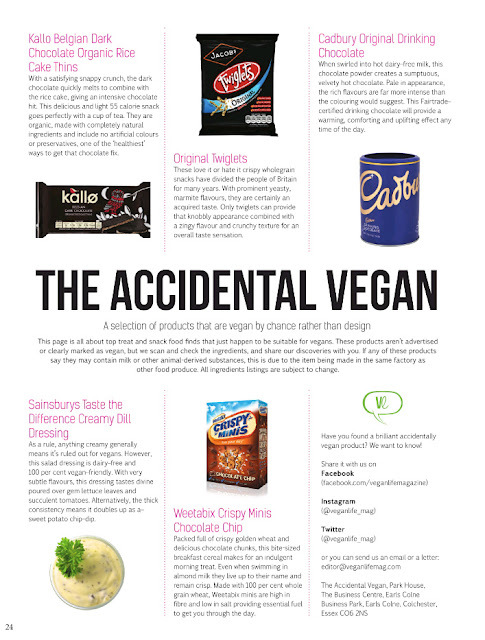 The equivalent July page featured the dark chocolate Kallo rice cakes I regularly buy, as well as Cadbury's drinking chocolate, which I didn't know was vegan. The UK summer has got off to a wet and stormy start, but the July magazine featured some ice cream recipes for when the heat does arrive (or perhaps to console us if it doesn't). 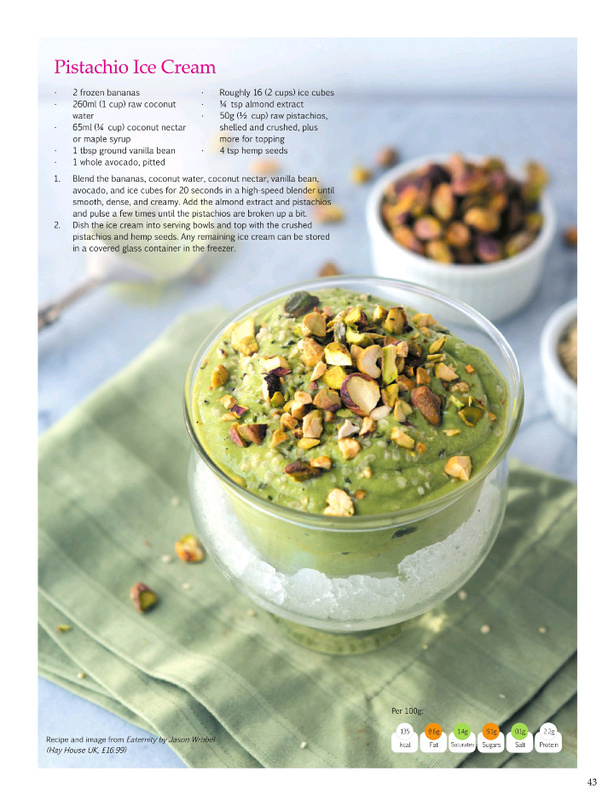 This pistachio version features frozen bananas, avocado, pistachios and hemp seeds and sounds fantastic. 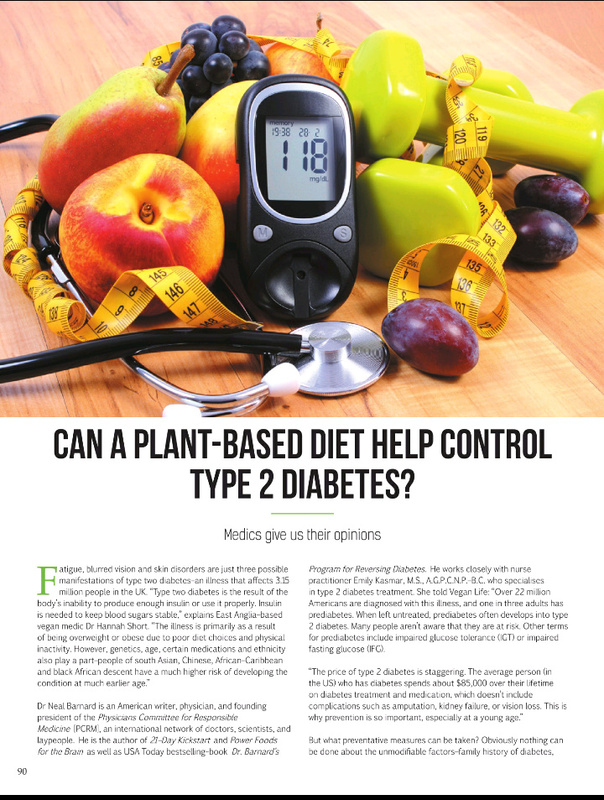 On a more serious note, there was also an interesting article on how plant-based diets can reduce risk for Type II Diabetes. This wasn't news to me, but the latest take on the research was interesting to read. It sounds like even a small population reduction in meat consumption could translate to substantial personal and societal health savings. 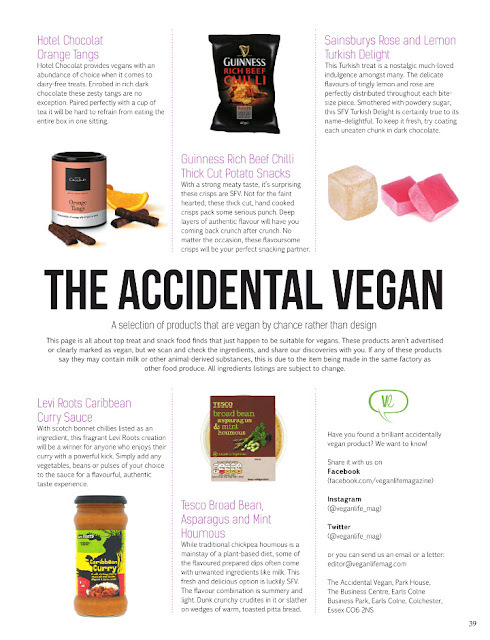 Have you enjoyed any interesting stories / discovered any new products recently? 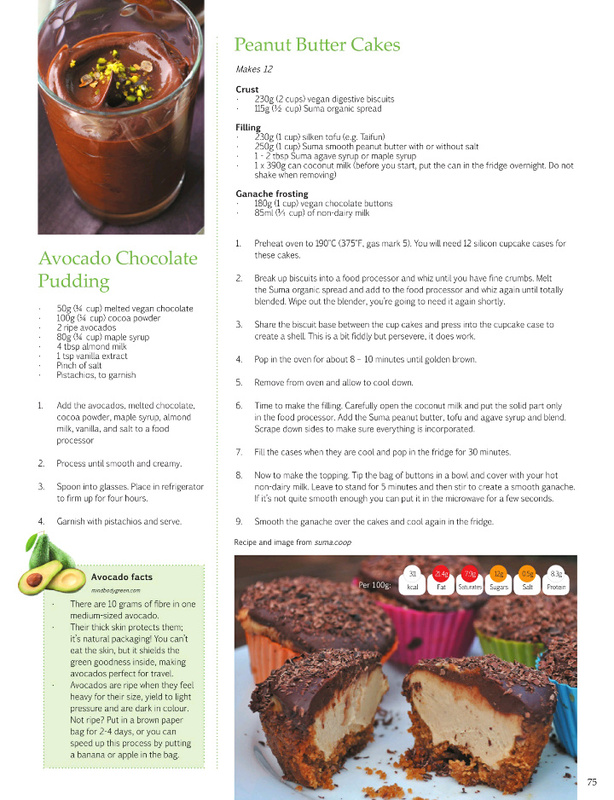 The peanut butter cakes look amazing! I think we were all surprised by the Referendum result. 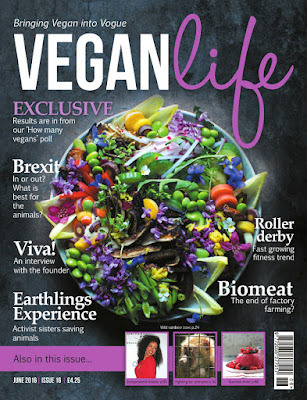 What I love most about Vegan life magazine is how beautiful their photos are. They make vegan food look exciting, which it is.